Valkyrie descends from one of the most influential holsteiner stamm lines in Europe (stamm 776) and is showing exceptional talent for her age. Intelligent, quick, and athletic, she is another one in a line of many successful showjumpers. Her dam, Vaskaria was bred in Germany by one of the most influential Holsteiner breeders, Uwe Bahlmann, and is sister to Reserve Champion Mare in Elmshorn 2009 – Waleska and Second Reserve Champion Holsteiner Stallion 2012 – Calinello. Her sire, Silver Creek’s Validation has had may successful wins in Europe. This young stallion’s successes include winning the Six-Year Old Consolation final at the 2013 World Breeding Jumping Championships in Lanaken, Belgium, along with winning scores of 9.0 in Bundeschampionate qualifying classes, and numerous top placings in the Youngster Tour along with top 1.40m-1.45m placings with his new rider, Marius Brinkmann in 2016. 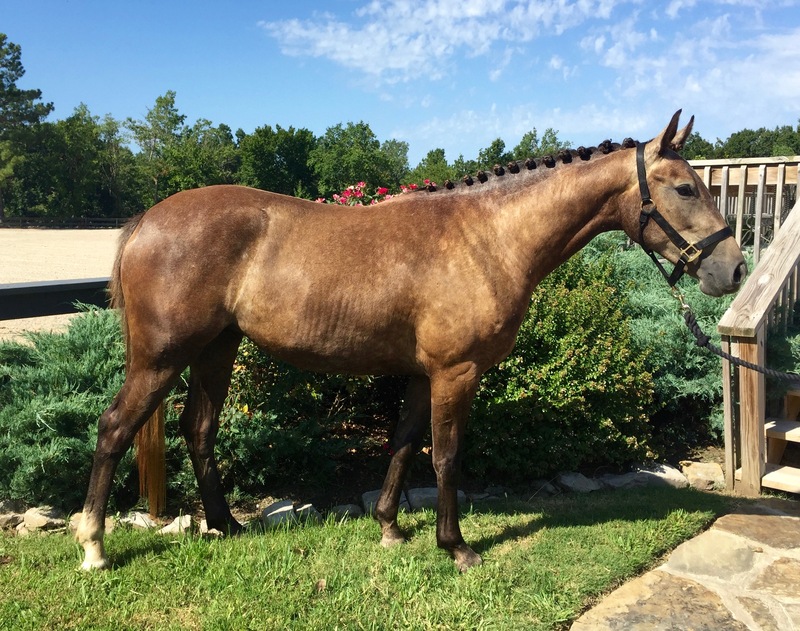 Eager and willing to please, she would make a top prospect for any rider, amateur or professional.